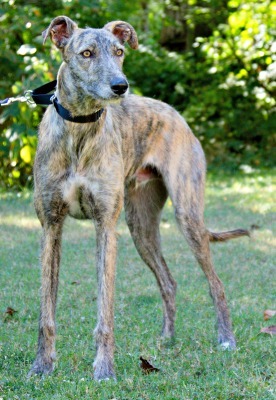 Gillis is an approximately 1 1/2 year old brindle male greyhound. He was found as a stray in west Texas so no history is known. He is very personable and full of energy as is imaginable for a 1 1/2 year old! It is not known at this time if Gillis is cat or small animal tolerant.